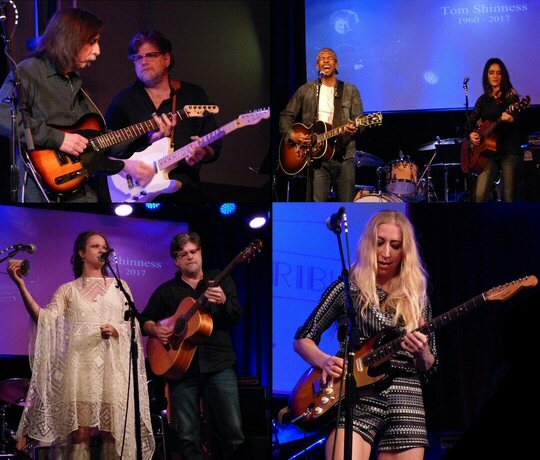 On Tuesday, March 21, 2017 friends and family gathered to celebrate the life of one of Music City’s most beloved musicians – Tom Shinness – who passed away in February following a sudden short illness. The singer, songwriter and multi-instrumentalist was a longtime Nashvillian and toured as a sideman with Keb’ Mo’ and Phil Keaggy who were the evening’s headliners at 3rd and Lindsley. 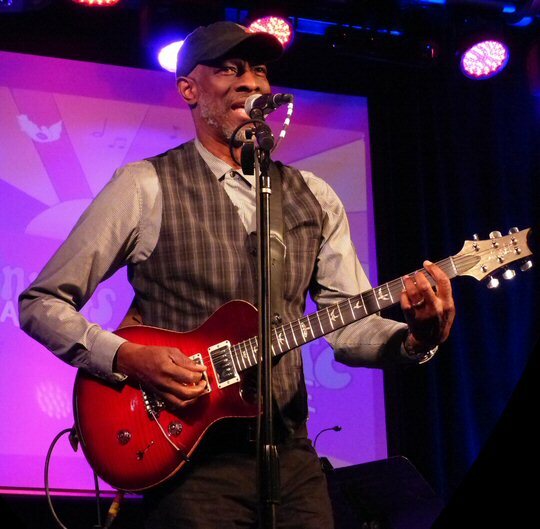 Keb’ Mo’ celebrates the life of Tom Shinness in Nashville. Shinness was highly respected in the region and was known especially for his work on the complicated looking but lovely sounding harp guitar. His easy smile and giving approach to life won him lots of friends and associates and it was no surprise that the nightclub was literally packed to the rafters for a full night of heartfelt tributes and quality music from twenty-one total performers. 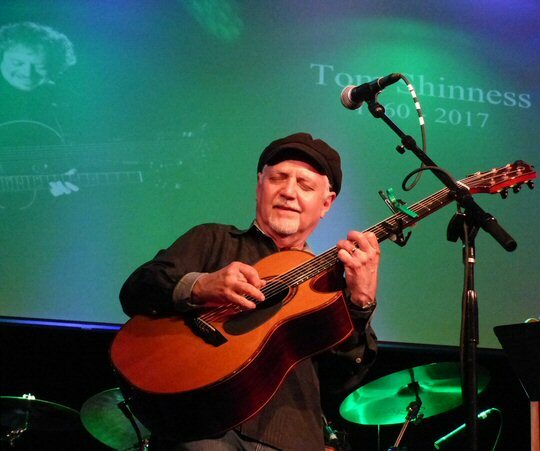 Phil Keaggy celebrates the life of Tom Shinness in Nashville. The first act to take the stage was Tom’s attractive and talented daughter Jasmine who used to work in a duo configuration with her dad. She smiled and shined in the spotlight in what must have been a difficult circumstance. Jasmine also impressed with her performance of “Beautiful Collapse” accompanied by the legendary Phil Keaggy on guitar. This song was available on a special limited edition CD called Brothers and Friends that was on sale during the show to help pay for Tom’s medical expenses. This project completed material that Phil and Tom had worked on over the years but had previously remained in the vaults. More fundraising included a silent auction, an autographed guitar of the evening’s acts and the sale of Tom’s CDs that were also given away as part of a door prize. Other musical highlights included headliner Keb’ Mo’s “Flo Rida” and one time Allman Brothers Band member Jack Pearson trading licks with Pat Bergerson which could’ve served as an audition tape for them to re-enlist with the classic southern rockers if they ever take the stage again. Phil Keaggy stole the show with a full band and back-up singers as he presented tracks from his latest All At Once album followed by a clinic on acoustic with the trick filled “Shades of Green” to close out his portion of the set. More scenes from the show including guitar great Jack Pearson. 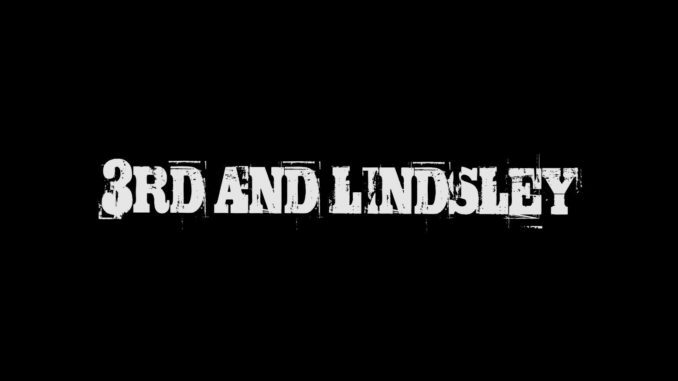 3rd and Lindsley is a well-established venue in Nashville that showcases up and coming acts and holds many special events like this Celebration of Life party for Tom Shinness. The bar & grill has a number of in resident bands such as The Time Jumpers. Please check their website for their packed calendar. 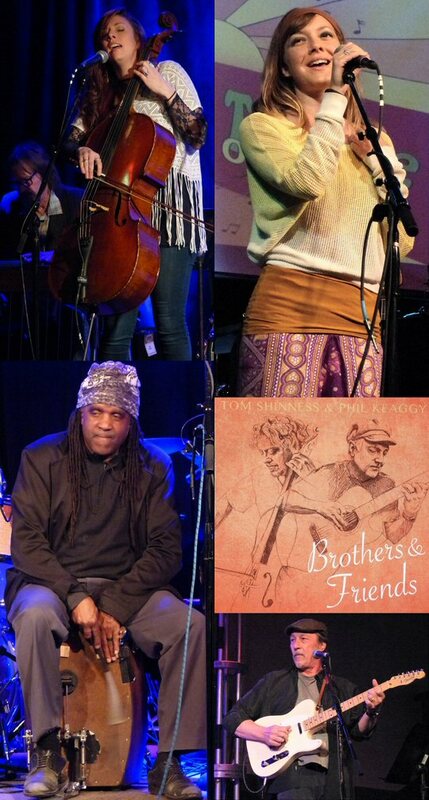 More scenes from the show including Jasmine and “Future Man” Roy Wooten. I’m heartbroken to discover that Tom Shinness had passed away. Two.years ago and I didn’t know. His Song For Life meant so much to me. I first heard Tom at the State Fair of Texas in Dallas. I loved his talent and music. I’m so sad to know he passed.